The Bolivian Andes region is home to men and woman who live in perfect harmony with nature. This region is the natural habitat of the alpaca and llama and these animals form an integral part of the life of the native people. Man and animal are dependent on each other and the rich fibre these gentle animals is processed using great ancestral skills to fabricate their own clothing and domestic textiles. A great part of the fibre produced is sold on and is in fact a most significant part of the native people’s annual income. 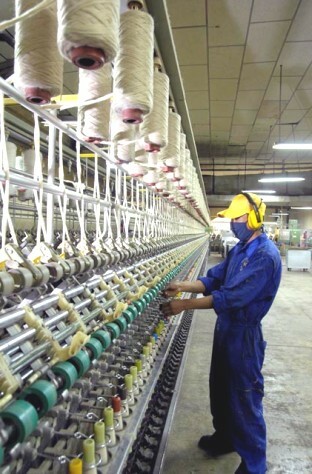 This fibre is processed and converted by COPROCA to provide raw materials and finished products of the world textile market. 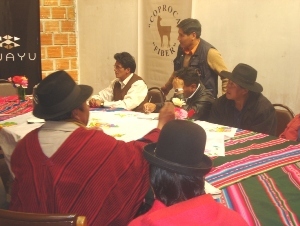 Being aware of the international demand for raw materials and finished goods of Alpaca and Llama, Association in of Llama and Alpaca Breeders of the High Andes (AIGACAA) decided to establish a modern tops and yarns company to satisfy this demand. Thus COPROCA was formed in 1991. COPROCA is a private Enterprise whose main share holders are comprised of 1,200 families of Alpaca/Llama breeders who live in the Bolivian Highlands. Due to its organizational /productive structure COPROCA has become the leaders at management and productive levels in giving its shareholders direct economic benefits for the purchase of their raw materials at fair and just prices. This brings greater economic benefits to these underprivileged communities. The main objectives of COPROCA are to improve the conditions of the people in the Bolivian Highlands by education in the husbandry of the Alpacas and Llamas and giving greater rewards for improved fine fibre. This increase the overall added value to the raw material and generates a sustainable demand for the fibre, bringing a substantial benefit to the breeders and an increase in the direct and indirect labour in the region. 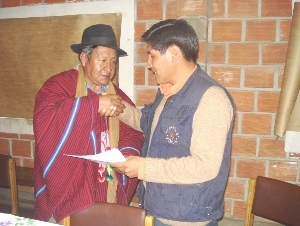 With this comes marked improvements to the economic and social conditions of the members of the communities.